Care2 Causes | How Much Responsibility Does Trump Bear For NZ's Tragic Muslim Massacre? How Much Responsibility Does Trump Bear For NZ’s Tragic Muslim Massacre? 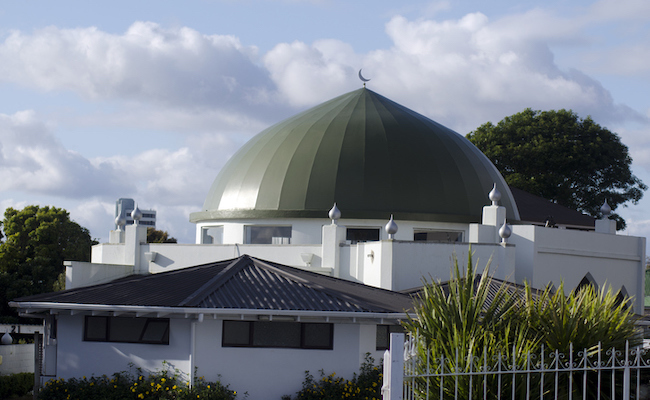 Tragedy unfolded in New Zealand on Friday when an avowed white supremacist gunned down Muslims praying in two mosques. Forty-nine people died in the bigoted attacks, with nearly as many hospitalized for injuries. Meanwhile, President Donald Trump also avoided these words, before quickly changing the subject to his outrage over the investigation into Russian collusion. Given that the attack absolutely targeted Muslims, that’s a pretty glaring omission. It appears as though this administration that demonizes the world’s Muslim population would rather not spend any time dwelling on the fact that Muslims are the group most victimized by terrorism throughout the world. Trump may want to distance himself from this incident, but he’s going to have a hard time doing that seeing as he got name-checked in a shooter’s manifesto. Without giving too much attention to the killer’s 70-pages of troubling beliefs, he writes that Trump is important “as a symbol of renewed white identity and common purpose,” and also suggests that Trump is an ineffective leader otherwise. While I join much of the world in refusing to share/watch the livestream the shooter took of his spree or even referring to his name, I’m wary of the White House’s move to keep identity politics out of this troubling incident entirely. When the shooter is Muslim, best believe the conservative media is making that known over and over again – so when the shooter is a white supremacist and his victims are Muslims, suddenly those aspects shouldn’t be discussed? Like it or not, by vilifying Muslims and encouraging violence, Trump shares in the accountability for these deaths. He is, as the shooter noted, a symbol to the white supremacy movement – and if Trump didn’t want to be that, there are hundreds of things he could have done differently over his presidency. Evidently, bigots of the world don’t even have to respect him to rally behind him because of the ideas for which he stands. Trump’s not alone, though. He’s flanked by the rightwing media like Fox News where an analyst said that the shooter’s motives were “very understandable… on a political level.” Granted, he condemned the action, but what credit do we give a guy who says Islamophobia is fine, just don’t act on it? Additionally, an Australian senator quickly made it known that he blames the Muslim immigrants themselves for this incident, putting his racism on full display. These are mentalities that have become emboldened thanks to the power and prominence of Trump. Typically, people consumed with this much hate are relegated to the margins and can’t gain mainstream support, but if the president of the United States barely has to contain his bigotry, surely others are inspired to act out with fewer consequences. I’d like to think the tragedy in New Zealand will be a wake up call to the White House to recognize the kind of consequences their hate speech brings about, but that seems highly unlikely. Instead, I hope that some of the Americans who have been misguided by their prejudices look on in horror and recognize that some of this can be squashed by selecting a more decent, accountable leader rather than a “symbol” of hate. @Kenny Wess--Trump was not voted in by the people. Hillary garnered 3million more popular votes than Trump did, which was unprecedented in the USA. Russia interfered in our election and we do NOT deserve that thing in the White House! I did not vote for him, so to say I deserve him, or the rest of us who didn't vote for him, deserve him, is disingenuous--the people who voted for him deserve him; the rest of us have to suffer that fool until we can vote him out. Trump has a lot to answer for and I can only hope that he will have to. As a science student who took a couple biology classes, the only difference between those who are white and those who are not is the amount of melanin in their bodies, which is the chemical known to control skin color. Other than that, there's not much difference between us human beings. The dump administration has given them free rein to release their hate - pretty much made it mainstream.